2017 Honda Civic EX-T with 56k miles and automatic shift. This is the new Civic engine with the turbo giving it more power and even better fuel mileage! This car is in excellent condition inside and out and is mechanically in great shape! This Civic is still cover by Honda Factory warranty and runs and drives like new. 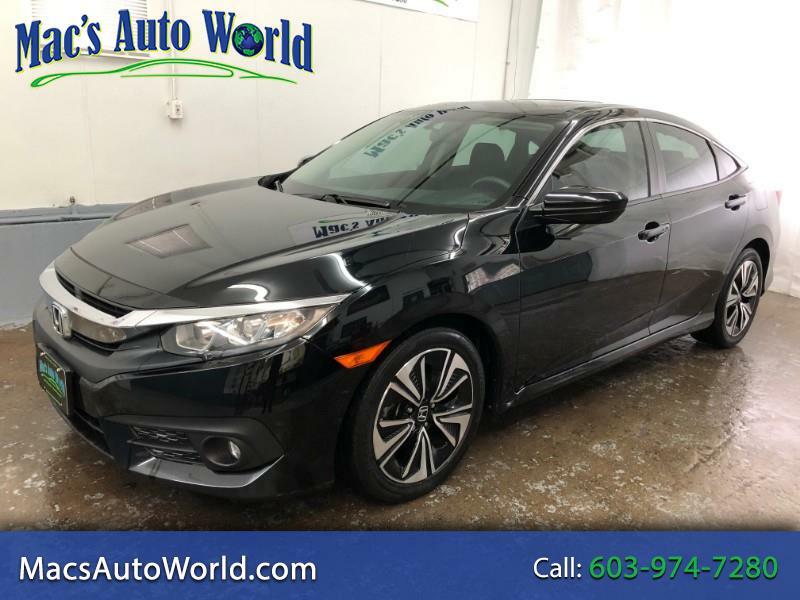 With the EX-T you get all the new features, backup camera, lane change assist, bluetooth with Apple Play as well as full power, push button start and sunroof! The black paint on the car is in great shape with no major scratches or dents and the wheels have no corrosion or curb rash either. The interior has no stains or signs of smokers or pets and all the buttons look like the day the car was new! Don't miss your chance to buy this black beauty today! To see other great deals or to apply for low interest financing, visit us at www.macsautoworld.com or stop by today!